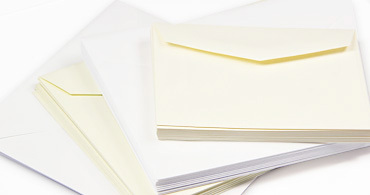 Oh so luxurious, 100% cotton envelopes feature an elegant Old World style flap and a super soft, must-touch finish. 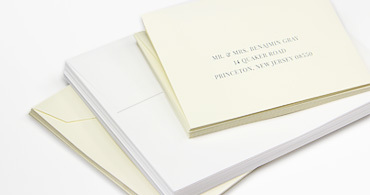 Choose from a soft, neutral color palette and pair with 100% cotton letterpress card stock for exquisite designs. 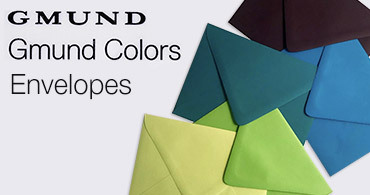 Matte finish colorful envelopes are offered in several formats, dozens of sizes, and in every color of the rainbow to complement your design. 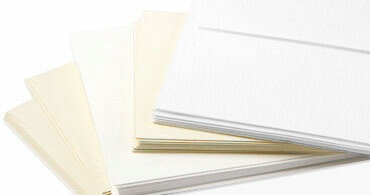 Pair with matching card stock and print at home with your laser or ink jet, or let us print them for you. 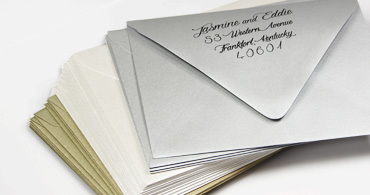 Shimmering, glimmering, oh so popular metallic envelopes are offered in several styles, a slew of popular sizes, and in a full spectrum of colors. 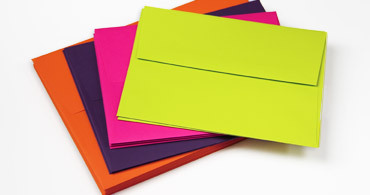 Order them blank or printed and be sure to mix and match with our collection of metallic papers. 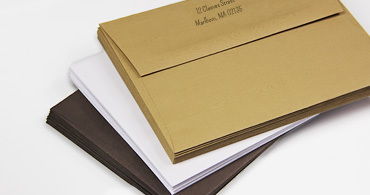 Linen envelopes feature a subtle and traditional cloth like texture and are offered in a neutral color palette. 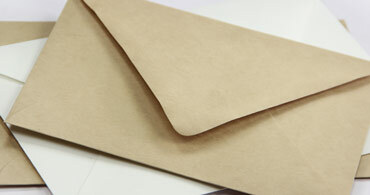 Timeless and versatile in style, linen envelopes are ideal for events of all sorts. 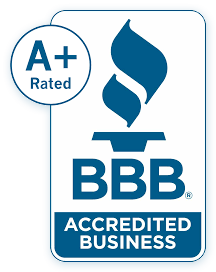 Choose from several sizes, and order blank or printed. 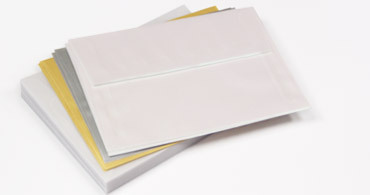 Something a little different, translucent vellum envelopes come in a variety of sizes, colors, and finishes to suit your creative needs. 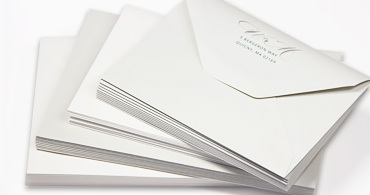 Create modern invitations, save the dates, holiday cards, packaging, and more.